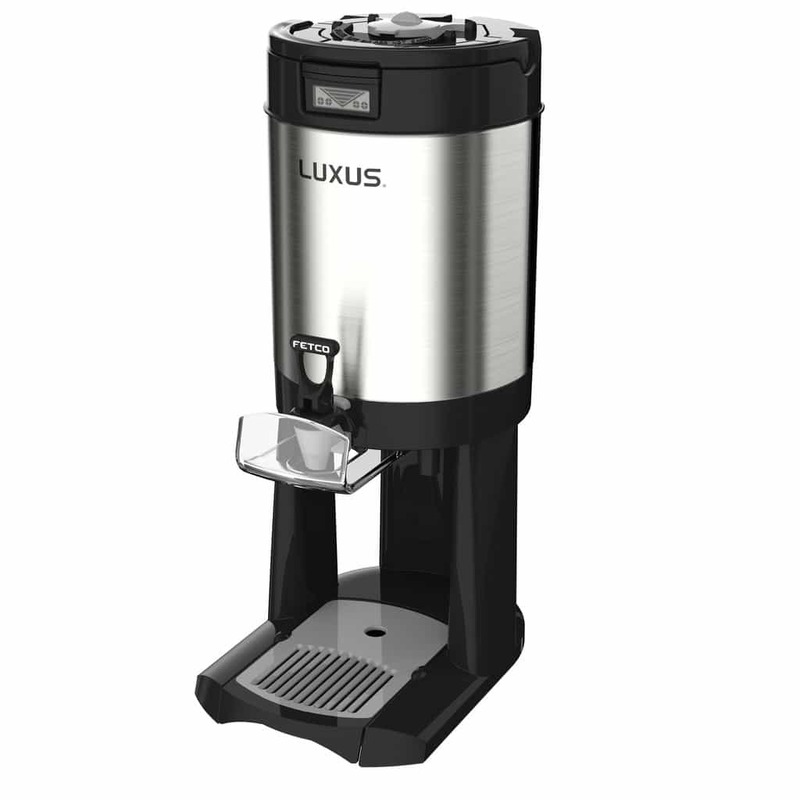 The Fetco Luxus L4S Thermal Dispenser is great for serving coffee is conference rooms, group meetings, or a location away from the brewer. Brew directly into the dispenser, seal the lid, and go. Coffee stays hot and fresh for up to 4 hours. 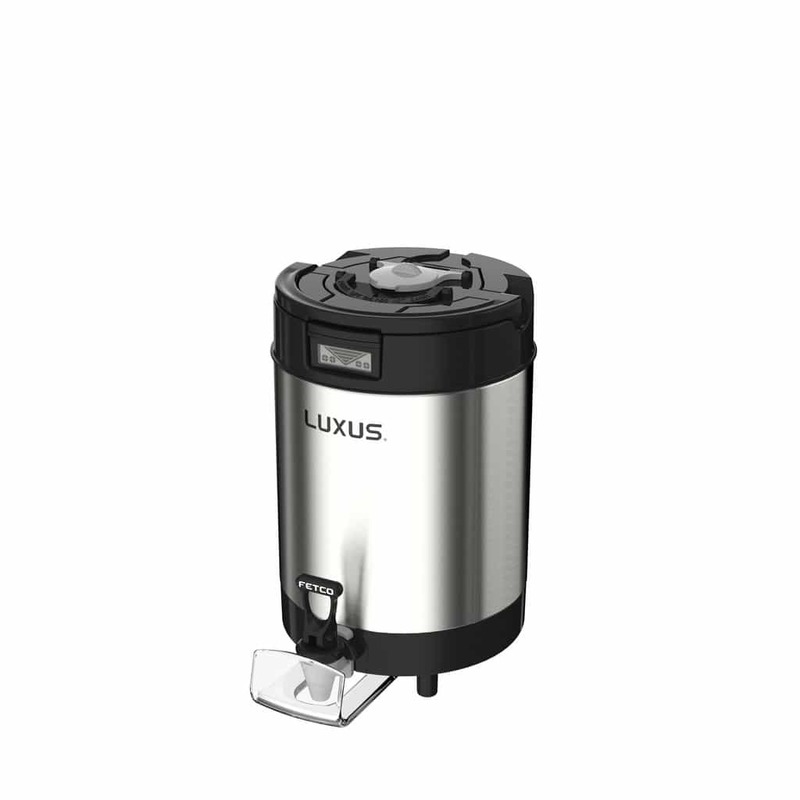 The Fetco Luxus L4S Thermal Dispenser is designed to streamline the process of brewing, transporting, and serving fresh hot coffee. 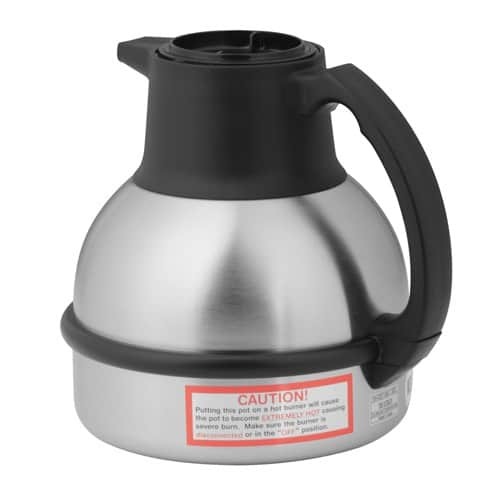 Brew directly into the dispenser via the Flip and Hide Brew-Through Lid. The Freshness Timer and Volume Indicator ensure you know exactly when it is time to replenish or replace the contents with fresh coffee. You will always have a hot, fresh supply of java ready to serve at all times. Transportation is made easy with the convenient carrying handle, which is standard equipment on the Fetco Luxus L4S. Once coffee is transported to the desired serving location, there is no need for a separate power supply. 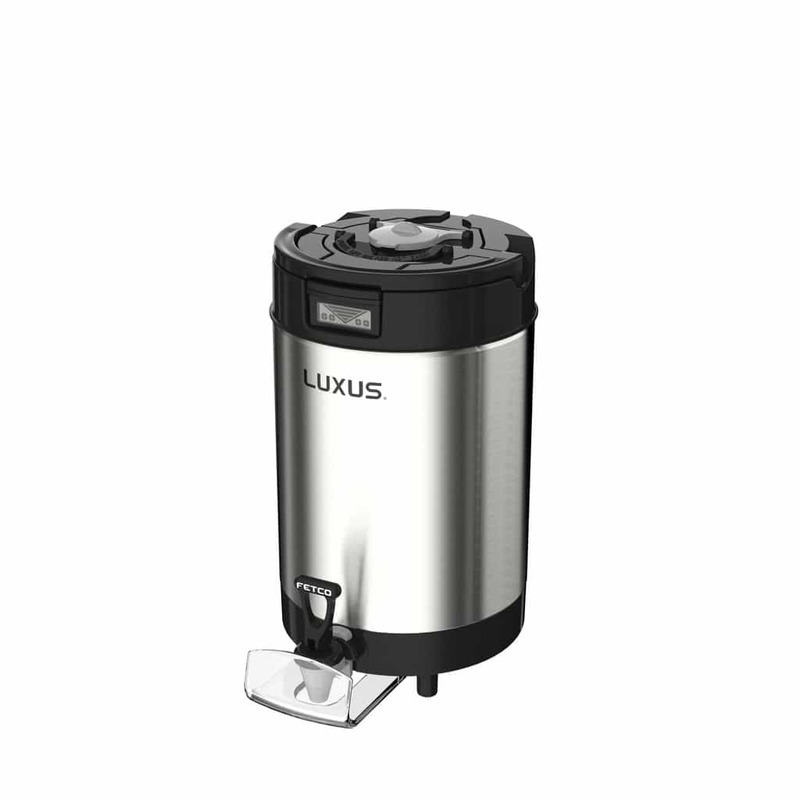 The thermal lining keeps your coffee at the ideal serving temperature for up to four hours. 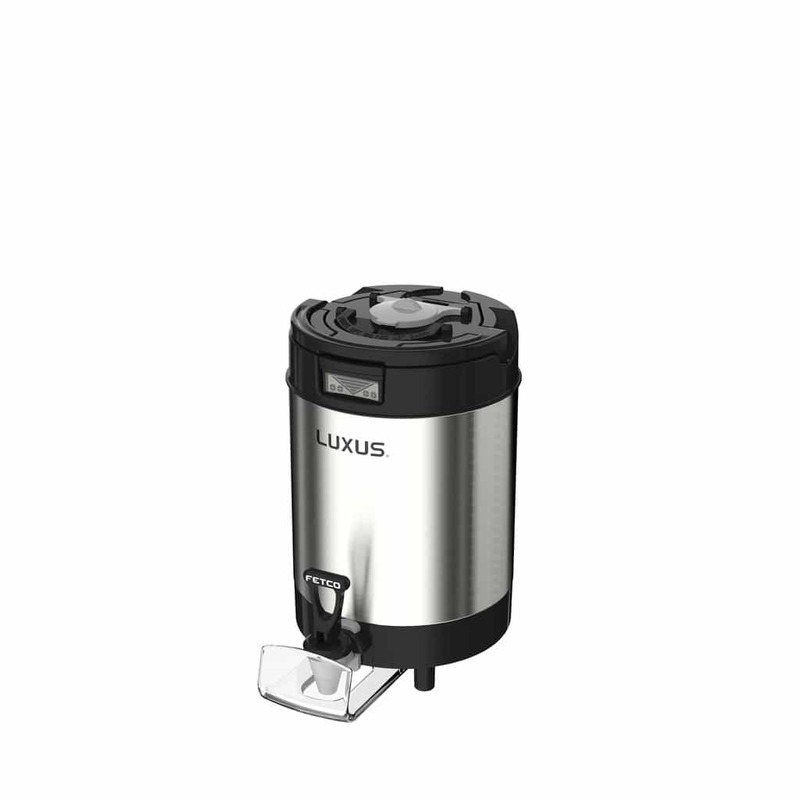 For use with Fetco® brewers: Extractor Series CBS-2021eP and CBS-2021eG. 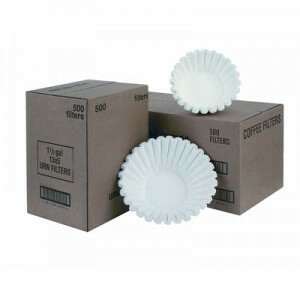 For use with Fetco® Serving Station.